Close Up Shot Of Stripped Bee Flying By The Flower In The Garden. Description: Close up shot of stripped bee flying by the flower in the garden. 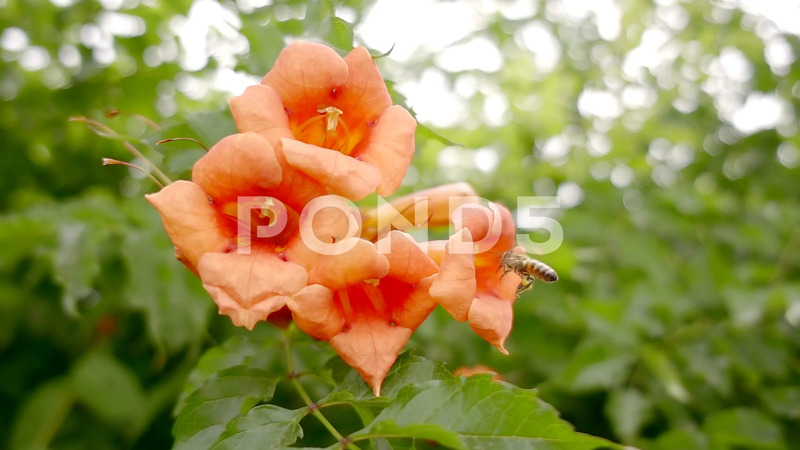 Beautiful bee is ready to pollinate orange flower.